Nestled in the lovely hamlet of Valhalla, The Grove provides patients with ample recreation opportunities. Patients are engaged by an array of stimulating activities, as well as regular outings to nearby stores and attractions. 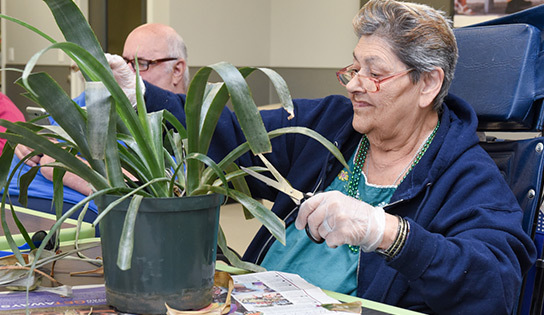 Many activities, such as our Gardening Club and annual Barbeques, take place in our patio area, allowing our patients to renew their energy and revitalize their spirit in a well-maintained environment.